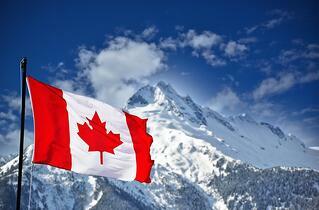 Corporate Formation in Canada - NOT Just Like the U.S.! Americans often think of Canada as not quite a separate country. After all, Canadians speak the same language with almost the same accent, eh? Both countries often celebrate holidays on the same day, many U.S. celebrities originally come from Canada and Canada has a similar form of government and economy. Because of all the similarities (and perhaps sometimes to the annoyance of our friends up North), there is a tendency in the U.S. to think that Canada is just like us. When it comes to corporate formation and structures, however, there are a number of important differences between the two countries. The following discusses one of those differences: the Canadian federal corporation. In the U.S., it is only possible to incorporate in a particular state. Canada, however, offers corporations two options: they can form in a particular province or they can incorporate federally. A Federal or Canada Corporation registers with Corporations Canada, and then registers as an extra-provincial corporation in the province or provinces where it wishes to do business. There are two key advantages to incorporating as a federal corporation in Canada. Heightened Name Protection: Federal incorporation allows the business to operate using its own name in every province in Canada. While many provinces do check names against a nationwide database (the NUANS system) before allowing formation, differing regulations between the provinces can sometimes mean that a provincial corporation cannot use its true name when registering in another province. An approved federal corporate name can be used in every province in Canada (although in Quebec, a French version may be required). Flexibility: Under the Canada Business Corporations Act, a federal corporation may locate its registered office and maintain its corporate records in any province or territory in Canada. Annual meetings can be held in any location inside or out of Canada and electronic meetings are permitted. Residency Requirement: At least 25% of the directors of a Canadian corporation must be resident Canadians. If there are less than four directors, then at least one must be a resident Canadian. Numbered Corporations: Instead of choosing a name, Canada corporations can choose to be “numbered corporations” instead. A number is automatically assigned to the corporation upon registering, followed by the word CANADA and the corporation’s choice of legal element (corporate indicator). Numbered corporations can be registered more quickly, as a NUANS search to determine availability and reserve the name is not required. Other Registrations Needed: Once the company is incorporated on the federal level, it will need to register as an extra provincial corporation in the province of its registered office and any other province where it wishes to operate. It will also need to register for a BIN, or Business Identification Number with the Canadian Revenue Agency. There may be other permits and requirements depending on the activity and location of the company. Canadian Federal Corporation Annual Return: In addition to any provincial requirements, a federal corporation is required to file an annual return each year within 60 days of its anniversary date. The form requires only basic information to be provided and can be filed online for $20 Canadian. A corporation that fails to file its annual return will be deemed to be not in good standing and must file Articles of Revival to reinstate. Information on Directors for Federal Corporations: The names and residential addresses of the directors must be provided when incorporating. Although the residential address is not published on the website, it is part of the public record and can be obtained on written request. A “Changes Regarding Directors” form must be filed within 15 days when a new director is appointed, a director ceases to act in that capacity or there is a change in a director’s residential address. With heightened name protection and flexible location requirements, a Canada federal corporation may be a good choice for certain companies wishing to form in Canada. Please note that this article is only a brief introduction to the concept of Federal Corporations in Canada and does not cover all the requirements and obligations of a federal corporation in Canada. We highly recommend consulting with Canadian counsel to understand the initial and ongoing obligations of a federal corporation prior to registering a corporation with Corporations Canada. This article is provided for inormational purposes only and should not be considered, or relied upon, as legal advice.